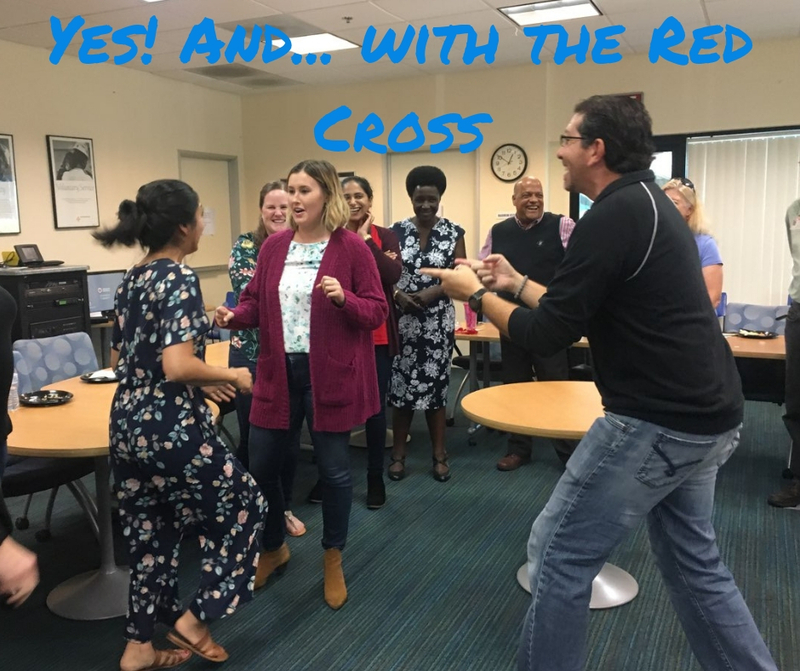 One of our esteemed teachers and community leaders Shawn Roop recently brought together volunteers at the San Diego Red Cross for an afternoon of learning and laughing. “Talking with the team, they shared with me how serious their jobs are due to the nature of their business and that they really wanted to bring more humor into the office place. I look forward to help them use humor to connect to deeper levels for the projects are doing.” says Shawn leading up to the event. Improv comedy teaches us that we can harness positivity with the phrase “YES! AND…” Teams can immediately see transformations in the dynamics of communication and connection with even just two hours together in one of our immersive improv experiences. Want to connect with your team in a unique and fun environment? Connect with us about our private workshops.